A round table discussion with the noted actor-writer-director in anticipation of the release of his new film, And So It Goes, starring Michael Douglas and Diane Keaton, opening in Boston on July 25th. 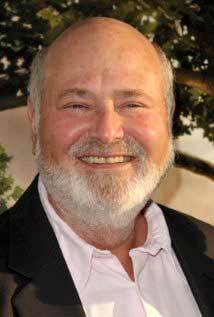 I recently participated in a round-table discussion with several Boston-area journalists and noted actor-writer-director Rob Reiner, whose recent directorial effort “And So It Goes,” starring Michael Douglas and Diane Keaton, is scheduled for Boston area release this Friday, July 25th. The following is adapted from that discussion, which began with one of the interviewers remarking about the challenges and rewards of being a film actor. RR: Have you tried being an actor? It involves a lot of sitting around. When Michael Caine was a big star and getting a million dollars per picture he said they pay me a million to sit around; the acting I do for free. Q: How do you sustain yourself and keep things fresh? RR: For me it’s all about discovery. There is also something you know from when you’re young but which you internalize as you get older: it’s about process, about the doing. If you understand that and you enjoy the doing, it stays fresh because what you’re really doing is expressing how you feel and what you think about, the things that come into your consciousness as you go along. You know things now you didn’t know then and you know more and more things, so it’s always a matter of processing, through your work, whatever you take in through your life. I couldn’t have made a picture like And So It Goes thirty years ago – I wouldn’t have known what the heck that was, the feeling of falling in love at a certain age. Some of this thinking was triggered by doing The Bucket List (2007). I had turned sixty at the time and I thought of myself as a very very young old person, at the very beginning of old age. At that point you begin to think about mortality and how long you’re going to live. So, all of a sudden, those thoughts and ideas come into your head and you begin to express yourself in that way. Q: Was it fun to direct Michael Douglas (Oren Little) in the lead role? RR: It was great. You can only do something like this film (which portrays an ornery character) when you have someone like Michael, who is inherently a nice person. In the course of the movie this character finds out about a granddaughter he never knew he had and he falls in love. All of these things help the good part of him to come out. Everybody is decent and good but life experience has a way of tamping it down – so it’s really a matter of letting yourself be open to the things that can be good for you and which make you act better. Q: I came out of the film thinking that no matter how self-centered someone seems, every single human being has a heart. Is that what you were aiming for? RR: We all have good and bad sides, every one of us, so the question is what wins out. You struggle to let the good come out and if you’re open to it, it will. Some people have circumstances in their lives that don’t allow them to be open to it, but I always believe that with everybody, at some point, it’s possible to change that, to tap into the good part and to let it come out. Q: There was an interesting ambiguity at the beginning of the film about Oren Little’s financial status which seems, to some extent, dependent on the script, but also upon by the way you directed it. We see that Oren has a Mercedes, but then we watch as he goes back to the modest place where he lives. That kind of thing keeps going back and forth. Could you say a little more about that? RR: I love the fact that he’s showing this beautiful house – he’s a real estate guy in Connecticut – and after one showing he goes upstairs and gets in bed – and you go: What the hell is this? What is he doing? And then you find out this is his house which he’s selling, and it’s all about a guy just trying to leave behind the world that he was in. Now that his wife has passed away, and he doesn’t have a relationship with his son, he just wants to get rid of everything, check out, and go up to Vermont to his fishing cabin. He’s in that place in life where’s he’s about to give up, to say goodbye to it all, and then circumstances force him back into living. His son comes and tells him he’s going to jail and drops this granddaughter he didn’t know he had on his doorstep and then he begins to develop a relationship with this quirky woman next door in his four-plex housing unit who’s trying to launch a singing career. Q: Is it true that Sissy Spacek was originally considered for the role Diane Keaton plays? RR: Of course, one considers a lot of people, but we were really lucky to get both Michael Douglas and Diane Keaton, both Academy Award winning actors, in these roles. Diane had sung a couple of times in movies, but had never actually played a singer. Q: Music seems to play a big role in all of your movies. Is it part of your everyday life? RR: It is. My mother was a singer and sang around the house all the time, so there was a lot of music always. My brothers and my sister sing and play instruments. I like to sing and I can sing on pitch but I’m not a great singer. But you always feel good when you’re singing; I always wished I could be a better singer. I did The Bucket List (2007) and The Magic of Belle Isle (2012) with Morgan Freeman. He loves to sing and has a great voice – so when we were around the set we’d sing together. 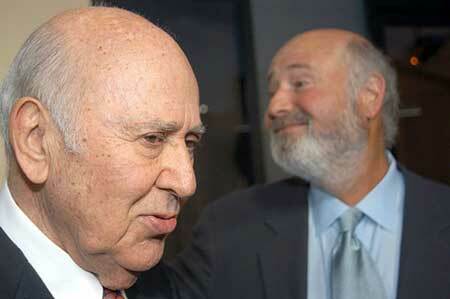 Yesterday, I was talking with my Dad (Carl Reiner) who just turned 92 – it was Father’s Day and I called him up. He told me I’m doing well, I walk around the block every day. And I asked Do you walk with somebody? And he answered No, I’m okay, I can walk by myself – I sing! He doesn’t have a great voice. When I was a little boy he used to sing and it would embarrass the hell out of me. We’d be walking down the streets of New York, in Manhattan, and he’d sing It’s a lovely day today.. and I’d go Oh, my God. I reminded him of that. Q: Were you really playing the piano in the film? RR: No, I was faking it. But I can play little things here and there. We were doing the scene with Diane auditioning in the club and Michael was in the back. Frank Valli was playing the club owner. Diane was so focused on what she was doing, but eventually I asked her: Are you nervous you have to sing in front of Frankie Valli? And she went: Frankie Valli! Where is Frankie Valli? Oh, my God, why didn’t you tell me that? She had no idea he was in the room. Q: With films like And So It Goes, Hope Springs (2012) and The Best Exotic Marigold Hotel (2011) – do you think it’s a good time for age appropriate films and characters? RR: My generation is the biggest bulge of the population. And when we go to the movies, we actually like to go to the movies. We don’t like another device in our hands to watch movies. We made the joke when we made The Bucket List that there’s definitely an audience out there that wants to go, but, though they have a 100% desire to see the film, they only have a 40% capacity to get there. Though we joked about that, the truth is that they do come, not necessarily the first weekend. But hopefully this film will be in the theaters long enough for them to get out to see it. It’s a tricky audience in some ways, but, if there’s something out there, they’ll go see it. Q: The title of the film is also the name of a 1983 Billy Joel song – was that the reference you had in mind? RR: It’s also just an old phrase. Basically it’s life goes on and you don’t have all the time in the world left, and the truth of the matter is you don’t know how much time that’s going to be – it could be a day, a week. But embracing the moment is the core idea. Q: There’s also a reference to that phrase in Kurt Vonnegut’s celebrated novel Slaughterhouse Five (1969). RR: Yes, there is. But, also, it’s just a phrase. And it works for this film. Q: One of the themes you explore in this film is second chances. What is it about that theme that interests you? RR: We’re now living longer and longer and people do have second and third careers. Retirement at sixty-five sometimes seems kind of weird now. Sixty-five? What if you live another forty years? That’s a lot of sitting around and not doing anything. And the same thing goes with love. If you go through a divorce or your spouse dies, are you going to sit around by yourself and do nothing for thirty or forty years? Everybody wants to share things with people, and to hang out. If you have five people in the course of a lifetime who are really dear friends, that’s a lot. So, if you do find somebody that you can hang with and spend time with, you want to do it. Q: You’ve worked with a lot of actors. What did you learn specifically this time from Michael Douglas and Diane Keaton? RR: I’ve worked with Michael before, on The American President (1995). I love Michael, he’s a really good friend of mine, and it’s like having an ally on the set. He’s a director and a producer; he knows what that is all about. He doesn’t cause problems, he tries to help you make your day, but he’s also a great actor with great craft and he’s only gotten better and better. We share a lot of similarities. His father was famous, and he had to make his own way, as I did. He started out on a television series (The Streets of San Francisco, 1972-1977), and I did too (All In the Family, 1971-1979). He knows what he’s doing. I never worked with Diane before, but I was dying to. I’ve been a huge fan of hers, and she works exactly the way I do. You never know something like that beforehand. She actually said to me: I don’t act. I just am. I just do. And I said Well, that’s what I do. You take the words and make them your own and hopefully it’ll come out. So it was thrill to meet someone like that, because everybody works differently, but she works just the way I do. Q: It must make it easier to have people like that in front of the camera. Q: I wanted to ask about directing Frances Sternhagen, who’s got an amazing presence onscreen in this film. RR: I worked with her in Misery (1990). I knew she’d be perfect for this part because she has an edge to her, a real sassiness. Q: Do you ever consider doing anything again in television? There are so many great series out there now. RR: It’s funny you mention that. Right now, I have about four television pieces in development in addition to a couple of movies. If you’re the kind of creative person who does what I do, film studios are not really an option, because there are no studios which are willing to make the kind of movies I now make. But, on television, things have opened way up in the last ten years. It’s a second golden age. Between Breaking Bad, Homeland, House of Cards – you can go on and on – it’s a real opportunity for creative people, so I definitely would do that. Q: Of all the movies you’ve made, which one would you least like to see remade in Hollywood? RR: I would hate to see either This is Spinal Tap (1984) or The Princess Bride (1987) remade, because those movies are just what they are. They are not meant to be more than what they are. Q: Are there other people you’d particularly like to work with? RR: There are a lot of great actors. I think Cate Blanchette is an incredible actress – I would love to work with her. Q: I’d like to ask about All in the Family, a show that was so controversial for that time. What was it like to work on it? RR: We knew we were doing something special. We were doing something that had never been done before on television, and we fully expected it to go thirteen weeks and then be off, because it was so far out there that there was no way we were going to be successful. And during the first thirteen weeks it was not all that successful because CBS did not really promote it. They were kind of nervous about it and put a disclaimer on it before the show came on saying essentially: Don’t watch this! We have no idea how it got on! Then they replayed it over the summer and people started to catch onto it. By the time we came up for the second year it was already through the roof. None of us expected it to be the success that it was. RR: Television now is 500 channels, so you can do cable, broadcast – it’s all available. 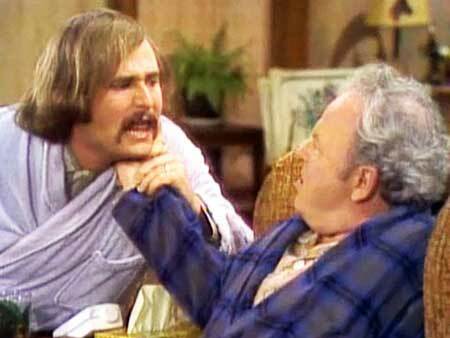 If you look at All in the Family – the country had 200 million people in it at the time and there were no DVRs, TiVo – you had to watch it when it was on – and we got 40 million people every week. So, that group of people was having a shared experience, and people would talk about it. Now the country has about 315 million people and if you have a big hit television show you get 15 million people – that’s a monster hit. It’s different now – it’s all niche. There’s a lot of good stuff and there’s something for everyone. I haven’t seen Game of Thrones yet, but I hear it’s great. It took me a long time to get to Breaking Bad. I’ve now watched four seasons, but I don’t have that much time right now.